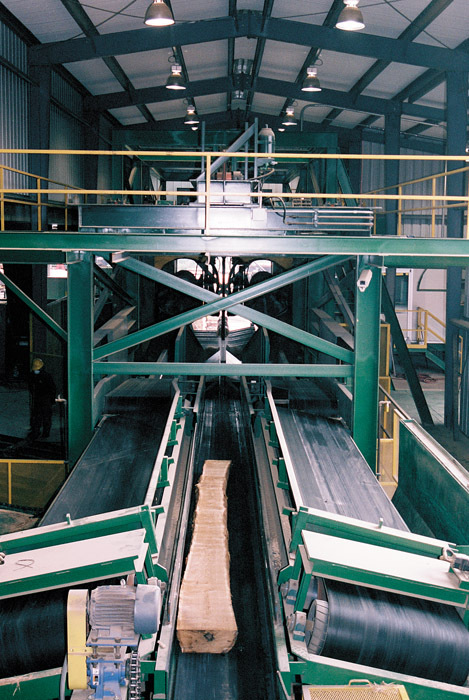 Timber Processing’s October issue spotlights Wayne Battle Lumber Co. of Wadley, Georgia, which has upgraded its green end and dry end in recent years as it maintains its position as the hardwood lumber leader. Harry Freeman & Son boasts a rich history in which overcoming obstacles is a way of life. Joe N. Miles and Sons Lumber re-started its softwood sawmills at Silver Creek, Miss. and Bogalusa, La. during the week of September 5, following power outages and some damage to the facilities from Hurricane Katrina. Recovery is up at Wayne Battle Lumber Co. here, which is the nation’s largest, single site hardwood lumber manufacturer at 90MMBF annually. 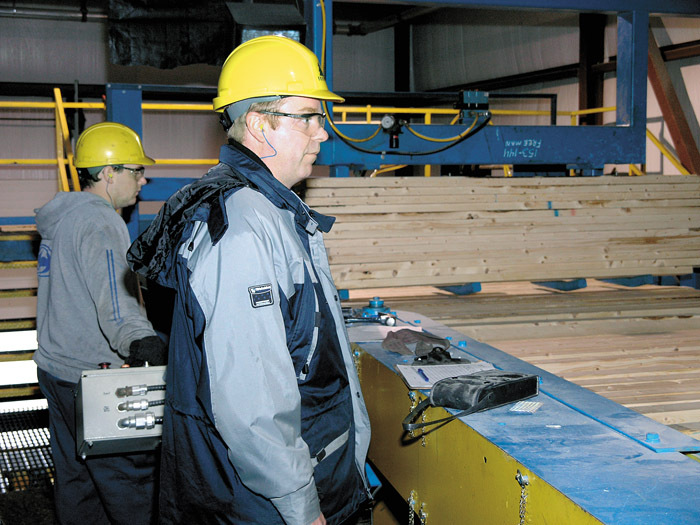 That’s because in early May, Battle Lumber started up a Maxi-Mill overhead end dogging carriage with USNR 3D LASAR front and back scanning and optimization, as well as auto-rotation preposition of the log, running through a newly installed twin bandmill. The Freeman family has been in the sawmilling business for almost 175 years, a feat in itself. Add to this an eventful past that includes losing the mill five times to the elements, along with the challenges of the past 20 years in which big and integrated have been industry watchwords, and it’s a wonder that Harry Freeman & Son Ltd. is here at all. Progress Industries has chippers ranging from 48 in. to 135 in. 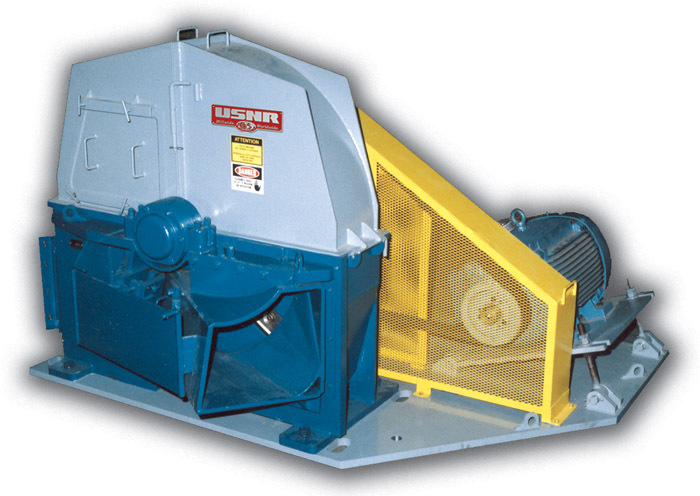 with several types of infeeds and discharges such as horizontal and drop feed. Chips can be discharged either through the bottom, side, back or blown out the top through a pipe. 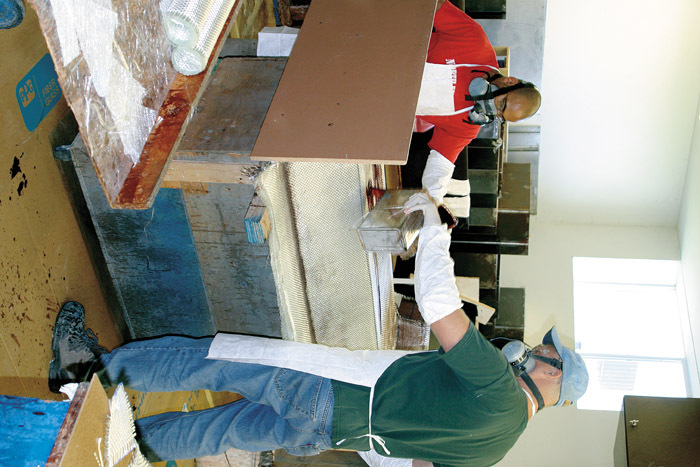 For four decades now, metal detector supplier MDI has blended the latest technology with complete customer service—bolstered by a fully vested family ownership structure—and found much success in the sawmill metal detection industry. Sawmill MD is now representing Timber Machine Technologies (TMT) in Florida, Georgia, South Carolina, North Carolina, Virginia, Kentucky, Tennessee, Missouri, Oklahoma, Arkansas, Louisiana, Mississippi, Alabama and Texas. 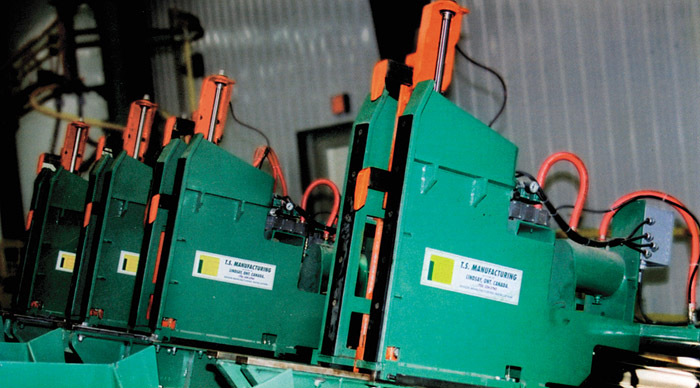 TMT’s edgers and gangs have replaced Valley Machine in Sawmill MD’s product line. The 2nd generation of the patented Accu-Chrome family of carriages from TS Manufacturing offers a completely “maintenance free” design, with fully self-lubricating parts. The dogging also rides in the same self-lubricating round slides eliminating the constant adjustment of keepers and replacement wear strips.